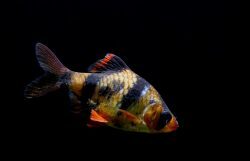 Having an aquarium in your home or office is like having a piece of the ocean with you. 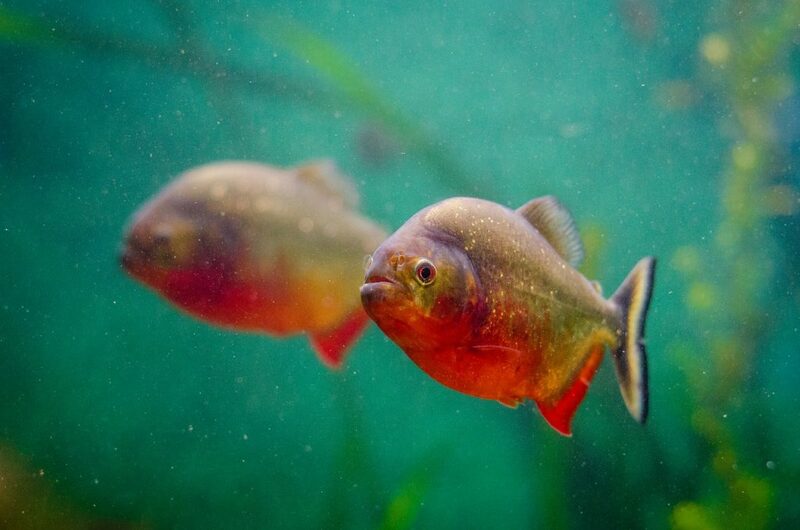 There’s no doubt that looking at a visage of beautifully pigmented fish, swaying plants and even a tiny treasure chest can take the edge off the sharpest day. However, when considering an aquarium one must also consider the stand it rests on. 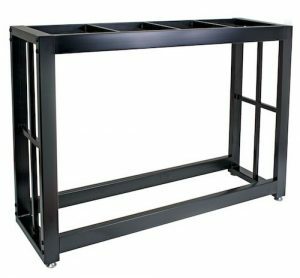 A fish tank stand is needed to ensure your aquarium is kept on wondrous display and that every square inch of glass or acrylic is securely housed. There are tons of fish tank stands on the market today – those that provide the bare minimum, to those that offer a stylish touch, to those that include convenient bonuses. The two popular types of stands are those built from wood (suitable for acrylic aquariums) or metal, usually steel (suitable for glass aquariums). Wooden fish tank stands are easily assimilated into the room as furniture and offer various options for storage. On the other hand, metal aquarium stands, typically steel, tend to be more affordable and once appropriately coated, they hold up pretty nicely against rust and moisture. 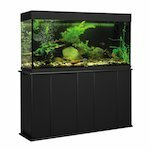 The very best 55 gallon aquarium stands for sale will be reviewed aaand because we aim to give all round advice, we have to mention that before you purchase that amazing 55 gallon fish tank stand for sale there are a few things that should be factored into the “aqua-tion” (get it?). Though chances are, since you’re researching aquarium stands it must mean that you’re aware of some of the issues to keep an eye on. For instance, the location of the stand itself – after all, fishes are living creatures and components such as foot traffic, loud noises, temperature and direct sunlight have an effect. The surface of your floors should also be evaluated as carpet (thick layers of fabric) may not be optimal for weight that is sure to reach in the hundreds-of-pounds region. Further, placement of the aquarium stand is important as it should be near a power source, water source and the heavier the tank and stand combination is, the more it should be situated away from the midpoint of the room where sagging is likely to occur. Now, onto the best 55 gallon fish tank stand. 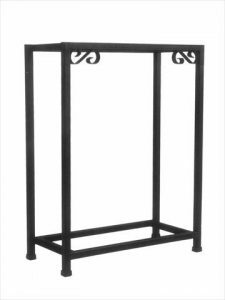 This metal stand has a solid, cagey construction. It measures approximately 48.5 (L) x 13.5 (W) x 29.5 (H). It comes in a lustrous black color that adds shine and elegance to any room but reflective surfaces can get a bit banged up. It is easy to put together and with such a modern design, simplicity is the superiority of this stand. It is a well-built, sizeable structure but barely noticeable due to its wide-open configuration. This stand gives most of the praise to the magic and magnificence of your aquarium which is what you want it to do. To supplement this objective, the stand has adjustable feet to help level out the steel frame in order to have a balanced fish tank and happy fishes. However, the unobstructed layout of the stand does equate to a lack of dedicated storage and does highlight that whatever you put on the stand will be easily seen, including the wiring. Moreover, the stand’s top does not bolster the entire base of the aquarium, only the corners, thereby restricting the type of tank that can be placed on it. This solid top stand is strong and formidable. It measures approximately 49.37 (L) x 13.12 (W) x 28.25 (H) and weighs about 74.6 lbs. It is heavier than other stands in this category but it is exceptionally constructed to hold various types of aquariums. This fish stank stand provides across the board support because of its flush top that braces the bottom of your aquarium (glass or acrylic). It is effectively coated to resist moisture and water damage which is especially great for larger units such as this one and a metal-to-metal locking system helps fortify the backbones of this stand. It comes in an attractive black color and is completely enclosed. It makes quite a decorative statement in any room due to its satiny finish and boxy design. However, it does not compromise on convenience or storage. There is a large hollowed-out area within the unit that is closed off by doors. The space has no constrictions thus you have the freedom to fill it with almost anything you wish, but if built-in organization is what you’re wishing for then no shelves within the stand will be something you’ll have to include on your own. This bi-level, elongated stand has a classic design with curling detailing at the front. It measures approximately 50.5 (L) x 13 (W) x 32 (H) inches. It is smoothly assembled without the use of tools which saves on time and reading complex instructions. It is built to house two 55 gallon aquariums which is a phenomenal perk for fish owners. It is powder coated to guard against the effects of rust and water and requires light cleaning to maintain its steel polish. This is another one of those fish tank stands that showcases the beauty of your aquarium and in this case, there is double the beauty to showcase as each level supports a 55 gallon aquarium. On the contrary, the narrow, perpendicular design of the legs on this fish tank stand may not give the impression of steadiness and does not make for the easiest pathway to the tank on the lower level. As you can tell, options for fish tank stands are as vast as the sea (not exactly). There are fish tank stands for different aquarium dimensions, different interior design styles, different storage requirements and different fish keepers. The fish tank stand ideas and aquarium stand ideas that have been reviewed are outstanding in one way or the other and it really comes down to a matter of preference and personal taste. Make sure the basics are followed concerning location and placement of the fish tank stands and make sure you’re comfortable with the choice of material in relation to whether you have a glass or acrylic aquarium.